While every component is important, the barcode label printer that you choose will determine just how efficient your barcode system can be. If you can’t quickly print and stick labels to your products, your entire operation can be hindered. 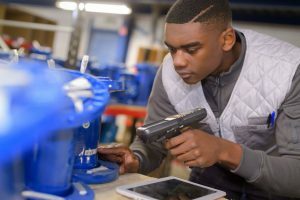 Luckily, the barcode system experts at Tri-State Business Systems can help you choose the barcode printer that is ideal for your growing business. Better still, we can customize a complete package system designed with your unique business in mind. Desktop Printers – The most commonly used across industries, desktop barcode printers are able quickly print multiple labels to keep your business moving. 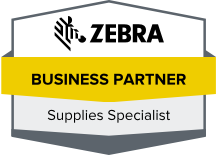 Tri-State Business Systems often recommends Zebra desktop printers for their durability, innovation, and efficiency, and we can help you find the right Zebra model to meet your needs. Mobile Printers – Countless industries rely on mobile barcode printers to effortlessly print barcode labels on the go. Perfect for hospitals, healthcare facilities, doctor offices, and more, mobile printers from Zebra can help your team print the labels they need without missing a beat. Midrange Printers – Zebra’s midrange printers are ideal for those who are looking for a more robust machine without the high price of a more high performance printer. These models offer many of the same features and functions of their higher-priced counterparts, but they are more cost-effective for newer businesses and brands that are watching every dime. High Performance Printers – Finally, businesses can opt for a high performance printer with all of the features and functions they need to expertly conduct their day-to-day operations. The perfect addition to any barcode system, high performance printers have the durability and capacity to meet the needs of even the most demanding of businesses. Tri-State Business Systems has helped hundreds of businesses throughout Bridgewater, Piscataway Township, Edison, New Brunswick, Franklin Township, and the neighboring cities, and we look forward to helping you streamline your business. Contact us today for more information about our barcode label printer selection, to request quotes, or to place an order. We look forward to serving you!